If you have ever struggled with your sleep, you will now just how annoying and stressful it can be. I go through waves where sometimes I can sleep for 12 hours without waking up, and then other times I can barely manage a solid hour before I get all restless. I have a few tips though of things that I do to at least help to get some consistency in my sleep routine. I am no longer ashamed of the fact that I have turned into a grandma at the ripe old age of 23. I have to go to sleep between 9 and 10, otherwise everything starts to go down hill! I try to stay up late sometimes, go to parties, do performances (considering that is my job), but when I go to sleep any later than 10 I can guarantee you that I will toss and turn all night! So make it a personal quest to figure out what your ideal bedtime is, and don’t fight it! Some people actually function better going to sleep later, and some earlier, so time to just start doing what works for you. Okay so this one works in two ways. First of all, where you can try to stick to waking up at the same time everyday. Obviously this isn’t always possible, but when you can it can make a huge difference in getting your body clock working on some sort of schedule. Secondly, if you are lying in bed awake for hours in the middle of the night sometimes it is better to get up and do something rather than tossing and turning and stressing about why you can’t sleep. Often I will get up and have a shower, even if I just had one a few hours ago, because it gives me a distraction and helps to relax my system in preparation for trying to go back to sleep. I think the worst thing you can do when you are restless in the middle of the night is to lay in bed beating yourself up and thinking about how much sleep you’re not getting, or how long until you have to get up for work! I know, I know, it’s cliche.BUT, there is a reason why so many people rave about reading before bed, and why it is a part of so many people’s bedtime routines. Apart from everything else, it gets me off my phone for the last 10-15 minutes before I fall asleep, and if that is the only thing it achieves then so be it. But I actually think that spending a bit of time to read really relaxes me before I lay down to sleep. 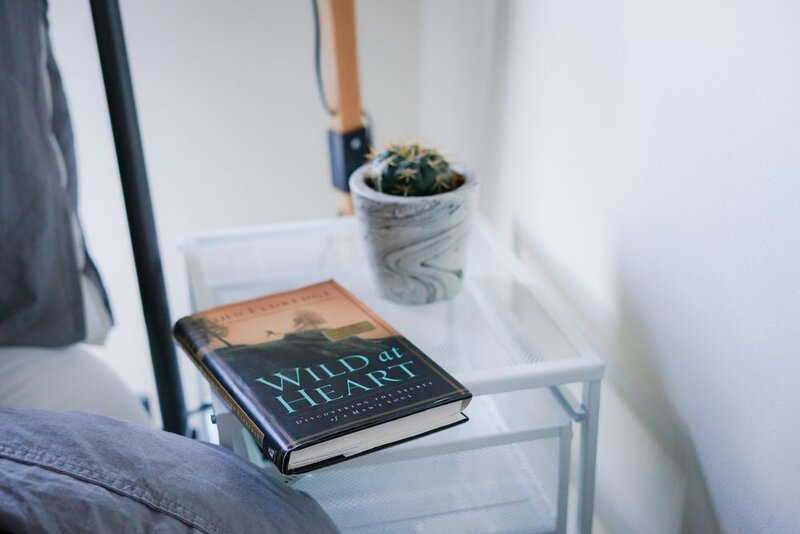 There is something about the act of reading that is so calming, and it is so important that we don’t have the bright lights of technology in our faces before we rest, so just a small bedside lamp and a book is the perfect wind down. Lately I have even been falling asleep while reading, book still in hand, which makes for a great middle of the night photo by your significant other apparently! Oh look, another cliche suggestion! I hate to get on the ASMR bandwagon, but it seriously does help me sleep! When everything else fails I will put my headphones in and go to an ASMR playlist I have made on Youtube. Within the first 10 minutes of this playlist I will usually be fast asleep, and it can help to give me some of the most restful sleep I can experience! I know ASMR isn’t for everyone, so if you aren’t a fan make your own playlist of music or videos that are calming for you, and have it on standby for those late night emergencies. These are just a few of the techniques I use to get a restful nights sleep! Let me know in the comments if you have tried any of these, or what you do for yourself to keep up your sleep routine.